At this point your mobile number is not a required field. You have to verify it before you can use some of our great products. Please accept our legal and privacy terms and conditions and confirm that your are human. We send you an eMail to verify your account. 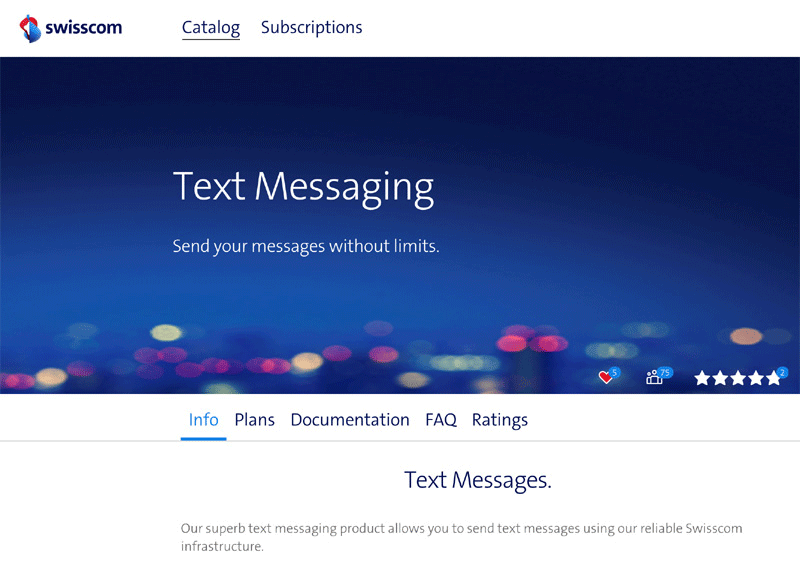 For just sending text messages we provide the product called “Text Messaging”. Two plans are avaiable: “Free” and “Business”. Please choose accordiung to your requirements. There are 2 plans avaiable: “Free” and “business”. Please check out the one that fits your needs. Send SMS and check their status. 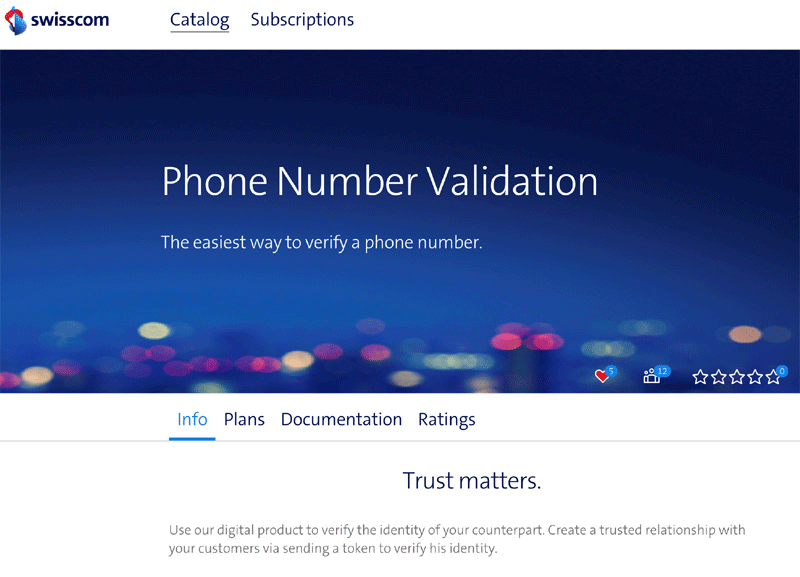 Validate a phone number via SMS token. 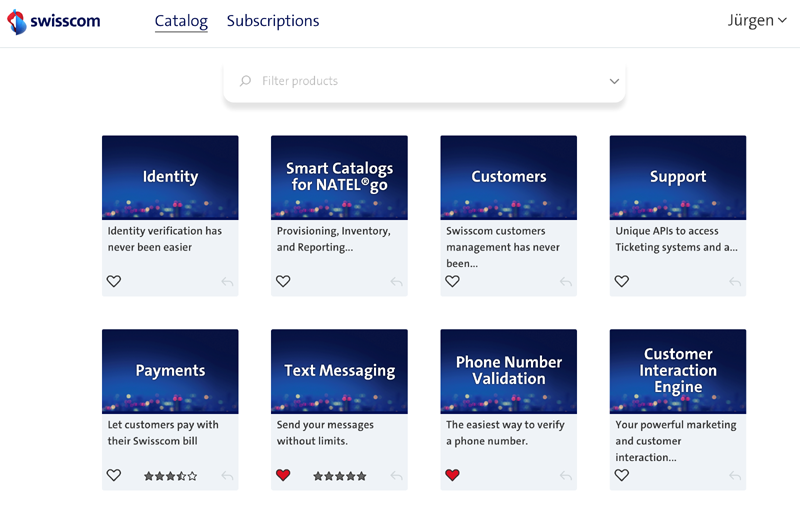 To validate a number, a predefined SMS message with an included textual token will be sent to your customer’s mobile phone. The customer then enters this token somewhere in your application (e.g. HTML from, Mail, Callcenter) and you can validate it using this API. 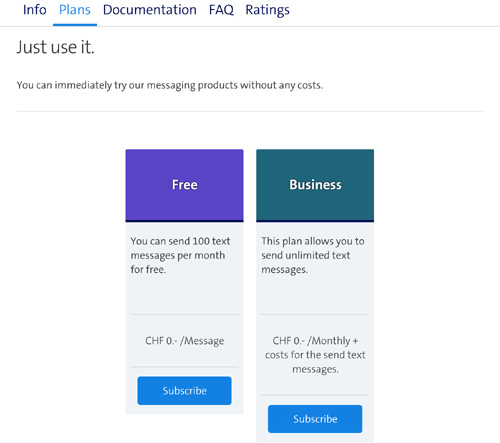 To create a Smart Messaging service, simply click “Create Service” in the web console or run cf create-service smartmsg usage my-sms (replace “my-sms” with the actual name of your service instance). Important: Note that you’ll have to activate the service after you have triggered its creation. To do so, click the “Manage” button on the service instance’s detail screen in the web console. By default, the mobile number you used to create your service instance is used as the sender’s number. To display a different sender, you can set the from parameter. Notice: you need special permissions to use this parameter. 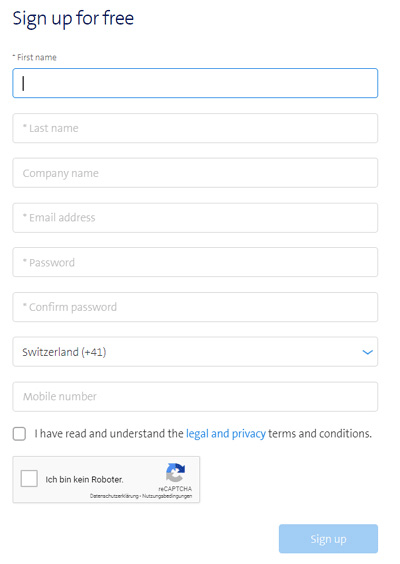 Please contact our support team at developer-support@swisscom.com to get access to this feature. If you need updates about the SMS state (e.g. SMS was received), you can set the callBackUrl parameter. You will receive an HTTP PUT request to this URL, for any state change of this SMS. "description": "Delivered with delivery confirmation"
This call will start the SMS Token validation process by sending a validation token to an MSISDN. The validation token is a random string of characters that is sent to the user’s mobile phone. After making this call, your application can then verify that the user recieved the validation token by calling the Validate SMS Token endpoint. Use %TOKEN% as a placeholder for where the actual token should go. Validate a token sent to the MSISDN number using the Send SMS Token endpoint. This call is made after the Send SMS Token call to validate the token sent to the end user via SMS. The SMS API requires ClientId authentication. The ClientId is part of the credentials, which are available in the VCAP_SERVICES environment variable after you bind the SMS API service to your app or through service keys. For a valid authentication of your requests, you must set the ClientId as HTTP header client_id in your requests. See also examples for details.